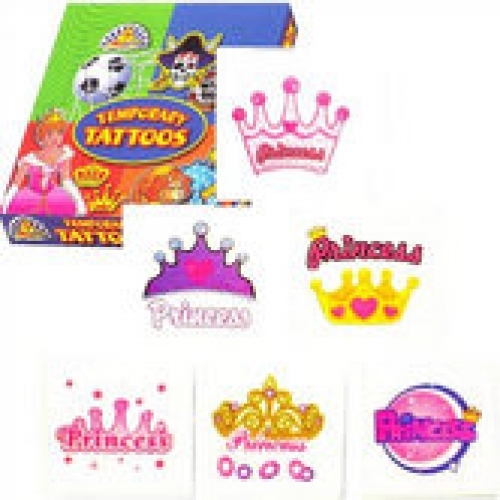 Princess temporary tattoos measuring approximately 5cm x 5cm. Ideal for childrens party bags. ***Not suitable for children of 3 years and under***.